Under the slogan «Stop the crime of normalization» Bahrain's revolutionaries continue their revolutionary movement in various regions. 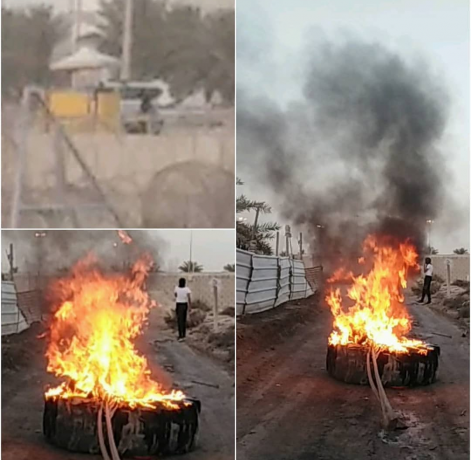 On Friday, April 12, 2019, the heroes of fields ignited the flames of anger in the town of al-Maqsha in front of the gangs of mercenaries. In the same context, the heroes in the town of Karzakan wrote the name of the dictator Hamad on the streets, as al- Ahrar newspaper in the town of Sar published revolutionary words against the normalization of al-Khalifa entity which has friendly relations with the Zionist entity.